Goal: Parkrun 5km or hills. This session caused me two problems. Number 1: I couldn’t get to the parkrun and back in time to get to the wedding I was attending later in the morning so parkrun was out. 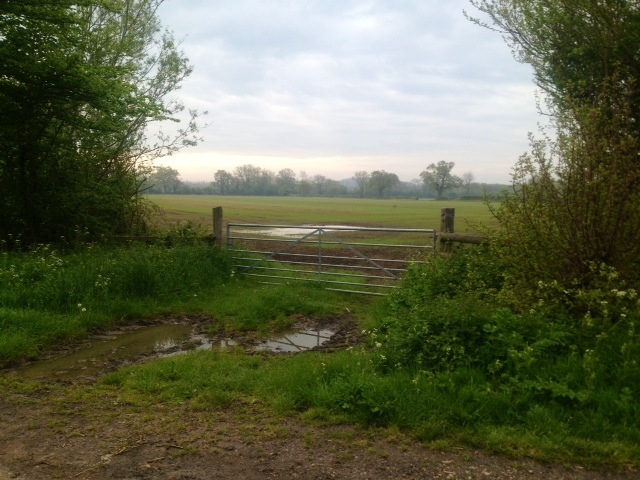 Number 2: I was staying in Kempsford - quite possibly the flattest place I’ve ever been in. As hilly as a pancake but with hedges and church spires so trying to get the hill session done might be a challenge. I briefly considered asking the vicar whether I could thunder up and down the church tower steps, but didn’t think this would be a goer. I finally managed to track down a hill but it was a 3 mile run away. So the total 5km I was SUPPOSED to do on the schedule wasn’t going to go quite to plan. I could drive to the hill, but that isn’t really in the spirit of this whole running game, is it? It started off as quite a grey and dull morning, but by the time I got a mile or so into it the sun was out and it was beautiful. Pretty much what you think of when you think of Gloucestershire actually. Dusty village lanes, green hedgerows and church spires rising in the distance. Also massive fields of that yellow stuff that wants to get up my nose but I was smug knowing I’d taken one of my hayfever tablets that day and could sniff yellow flowers to my heart’s content. Although I decided just to stick to the running this morning. It’s easy to get distracted when you know you’re supposed to be running up and down hills. It was a lovely run and I listened to Running With The Kenyans audiobook as I went. 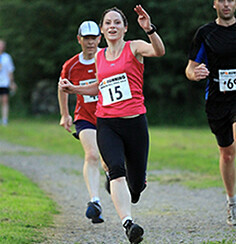 There’s nothing like a bit of inspiration as you run and I found myself trying to even out my form as I ran. The chap in the book describes the perfect form as pretty much the same way Sam Murphy had told us we needed to do it. A straighter back – leaning forward slightly and lifting our knees and kicking out behind. The author of the book describes it well as “trying to ride an invisible unicycle”. It’s a quicker cadence and a more rounded running motion. It’s tiring trying to keep it up but if I remember to make sure I practise every time I go for a run, then hopefully I’ll be a bit more Kenyan-like (if only in my mind) and a bit less Dorset-Lass-Going-For-A-Clump-Around-The-Countryside-In-Her-Wellies. I finally got to the hill. It’s deceiving. It starts with a nice gentle slope and then suddenly goes mad and turns into something positively towering with overhanging trees and bits of shade and narrow bits just for extra ‘Making Getting Killed By a Car Here Easier’. I decided that it was probably too long for a sustained hard effort and it would get irritating having to leap out the way of the cars that were occasionally driving up. 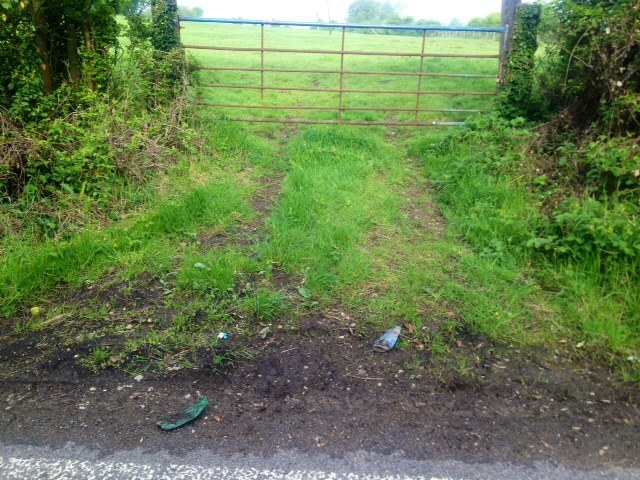 I stopped at a gateway and a squashed plastic bottle was my start marker and the darker line on the road up above made by the overhanging trees was to be my finish line. I sprinted up the hill hard as I could to the dark line and then ambled back down again at a slow jog for a recovery. 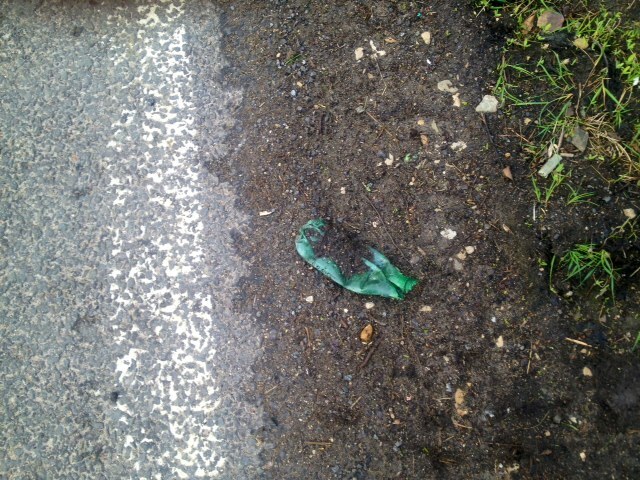 As soon as I reached my plastic bottle I did a U-turn and sprinted like a maniac for the dark line again. Rinse and repeat 5 times. I’d like to have done another set of these maybe with a minute break in between sets to give me time to celebrate a successful set (read as: fall over / throw up / pass out) but due to my warm up and cool down distance of 3 miles I was a bit pushed for time. I ambled to the top of the hill and turned around and ambled home again. It was gorgeous running back and the sun was really bright and warm. 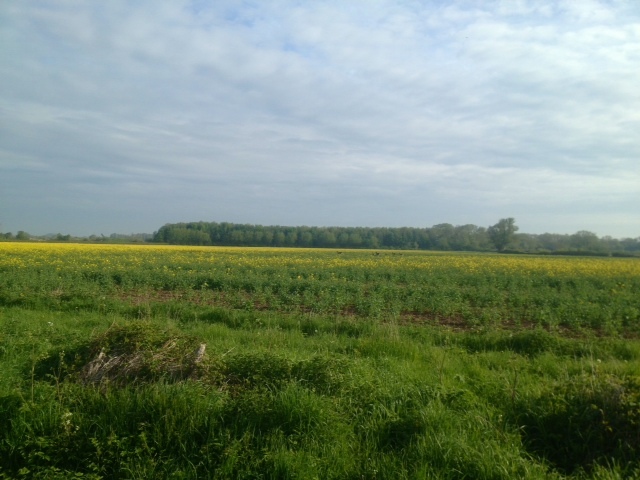 As I ran on the lane, I startled a herd of deer in the field of yellow rapeseed next to me and they ran alongside me briefly, their heads and backs moving above the bright yellow of the plants like inverted rocking horses. I ran on feeling lucky to have seen them. Those little dots in the distance really ARE deer! Honest!